During the month of November Crandon and Wabeno Head Start students participated in the Color Me Healthy program through Forest County UW-Extension, FoodWIse. 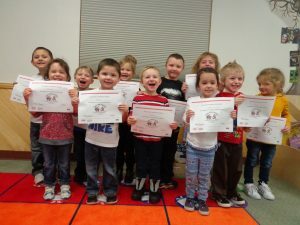 Karly Harrison, FoodWIse Coordinator, provided each Head Start with the series of four nutrition lessons focused on identifying different fruits and vegetables, the colors of fruits and vegetables, and the importance of eating a rainbow of colors throughout the day. During each lesson students were provided a taste test and became food explorers. They became a food explorer by using their eyes to describe how the food looked, using their hands to describe how the food felt, using their nose to describe how the food smelled, and using their mouth to describe how the food tasted. By becoming food explorers the students were encouraged to try new fruits and vegetables which will hopefully increase their willingness to eat fruits and vegetables at home. It is important that children are exposed to fruits and vegetables at a young age to develop healthy eating habits that will last a lifetime. Master Gardeners are trained volunteers who aid the University of Wisconsin-Extension staff by helping people in their community better understand horticulture and their environment. 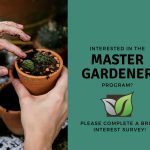 We are currently seeking input from Forest county residents who would be interested in attending a Master Gardener Level 1 training course in Forest County. Interested residents are asked to contact Michelle Gobert at 715-478-7797 or by completing the brief interest survey found here. Register for 4-H Tech Changemakers Forest County! 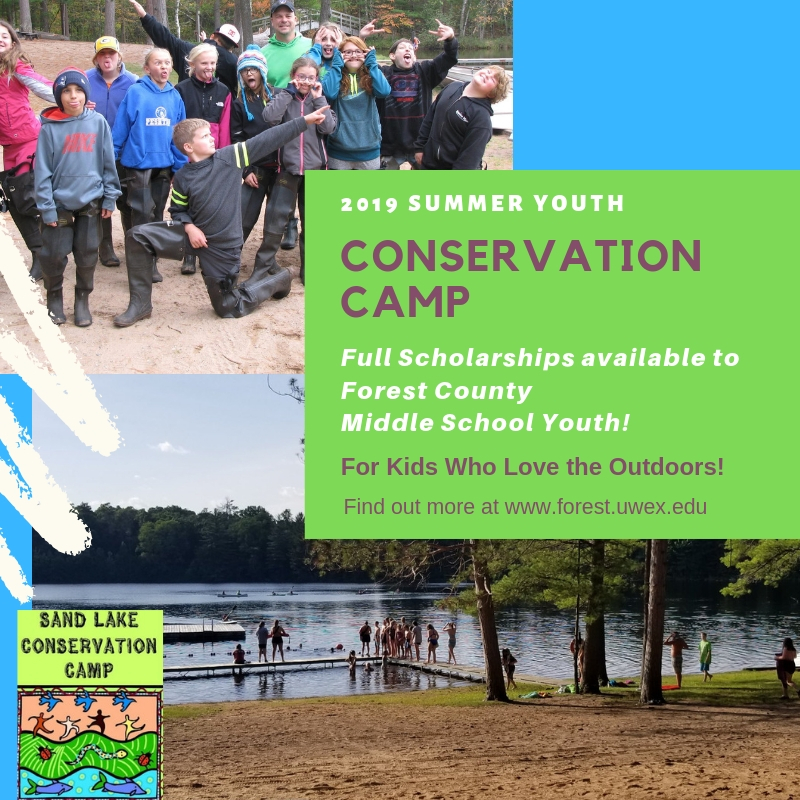 Forest County's Land Conservation Department is encouraging Forest County youth who have an interest in the outdoors to attend the 2019 Sand Lake Conservation Camp June 19-21st. The cost to attend the camp is $100 per student; however, due to the generosity of the Crandon, Laona and Wabeno Lions Clubs, there are scholarships available for Forest County youth to attend free-of-charge!